If You Were a Star Trek Character: Who Would You Be? If I were a Star Trek character: I’d be Mr Spock from Star Trek: The Original Series (TOS) or Odo from Star Trek: Deep Space 9 (DS9). ZOMG! That is such a spookily accurate assessment. Calm, measured and thoughtful – that’s you. 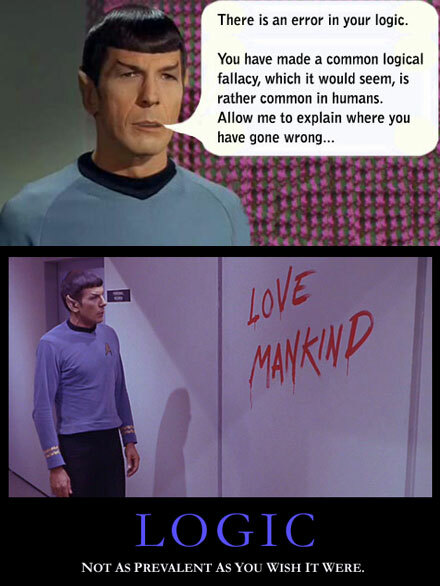 But I do think we’ve seen evidence of a warmer heart than Mr Spock. But on Star Trek is so unconsciously sexist that there are really no properly developed women characters. You wouldn’t consider Kira Nerys or Jadzia Dax strong developed female characters? But those female characters were in DS9 not original Star Trek. Definitely more interesting women characters in both DS9 & Voyager. I just did an online quiz for Voyager & came out as Kathryn Janeway. Captain kirk of course, make it so. I would be Spock, hands down, although I wouldn’t be overly disappointed to be Picard. But in college I decided to adopt some of the principles of logic to help me overcome a quick temper, and it worked wonders for me and my state of mind. This was before the days of TNG and the rest, which explains my Spock fascination. Well, as an Andorian since 1980, I’d have to vote for Shran of “Enterprise”. He was feisty but loyal to those who treated him fairly. A great role model. Had Season Five become a reality, Shran was going to join Archer’s crew. erm… why do I have to put a comment? anyway… A Star Trek Charrie site seems kewl to me, so why not try it, right? I would be Uhura. The attractive Lt. She is my favourite character. She’s just AWESOME!!!!!!!! If I could be any person from any Trek series, I would be 1. Spock, & 2. Data. I wish I was smart like them! If I could be any star trek character I would be Jadzia Dax. She’s strong, confident, beautiful, brilliant and she can use a bat’leth. She’s an inspiring character. But I also love Worf very much.